It seems this is a .atx file; a copy-protected disk file. The Atari800MacX emulator for Mac OS X doesn't seem to handle this well. According to the documentation, it was a floppy; I can load the .atx file in to a floppy drive on that emulator, but a warm boot results in an error. Help? Try an emulator. You can play the ORIGINAL version in Windows with one. 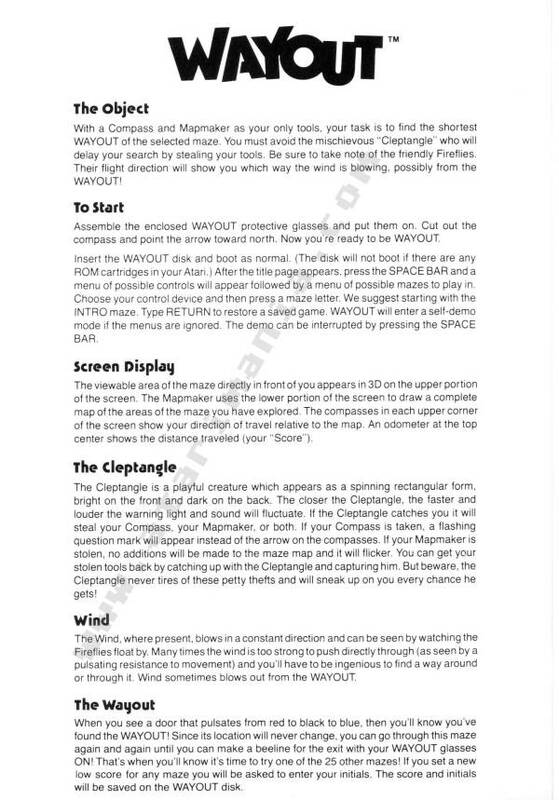 Although I haven't played Wayout in years, my ears still perk up when Pink Floyd plays the Cleptangle theme. 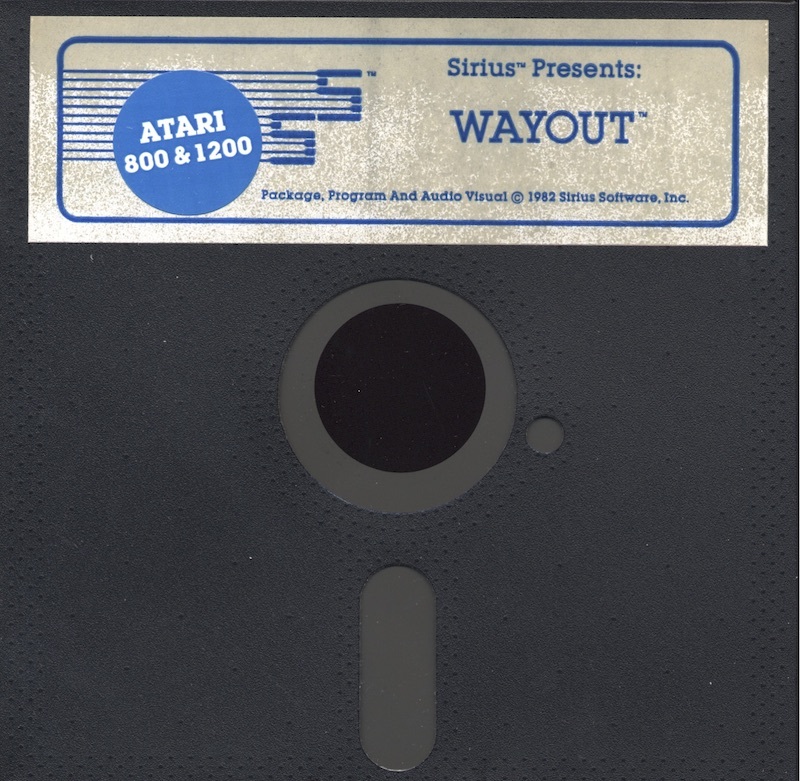 Does anyone know how to open the Wayout download from the Atarimania page when using Windows? Does anyone know how to get the game in an updated format which will play on Windows? Very advanced 3D for the time, with some complex gameplay features integrated. Variety in colours and designs on the levels would have helped (and been perfectly feasible, even allowing for processor/memory limits) but this is still an appealing and innovative game. If the Cleptangle has stolen your map, go to a section of the maze with lots of dead ends. Then, when he arrives, follow him until he darts into a dead end, where he can be easily caught. Never bother chasing him down long corridors with no exits; he's faster than you. But if there are lots of exits around he often pauses briefly, allowing you to catch up. Also, if he's following you around, turn and take a few steps towards him; he'll run away. In a new maze, try to go all the way around the edge so you'll know the maze boundaries. Then start subdividing the different sections until you hear the "Wayout noise." 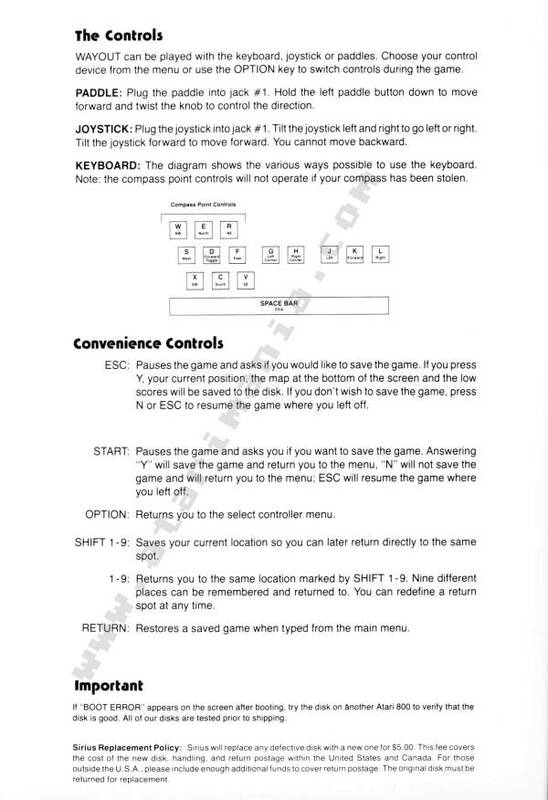 Then you'll know where to focus (the comment that the exits are usually in the middle is false). When wind is coming out of the Wayout exit I have no idea how to force my way through. This is a problem with at least "Spiral" and "Sanctum." 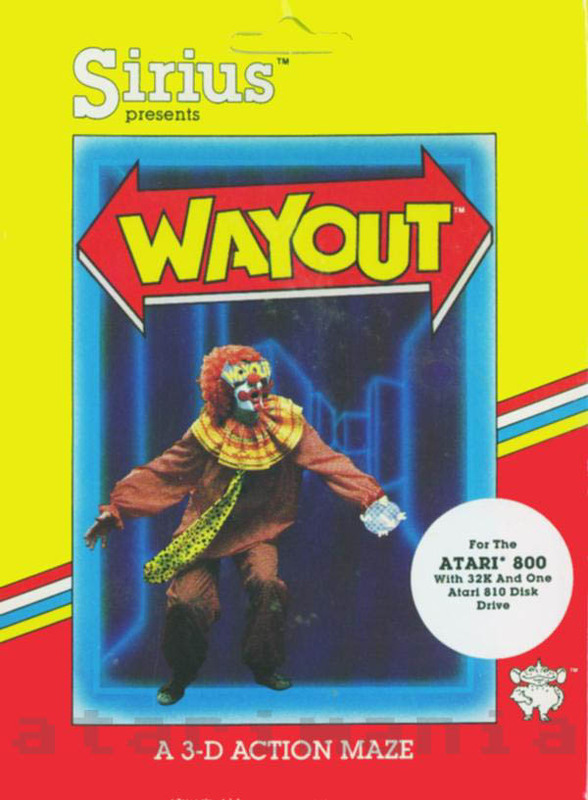 Wayout is a maze game with a big twist. 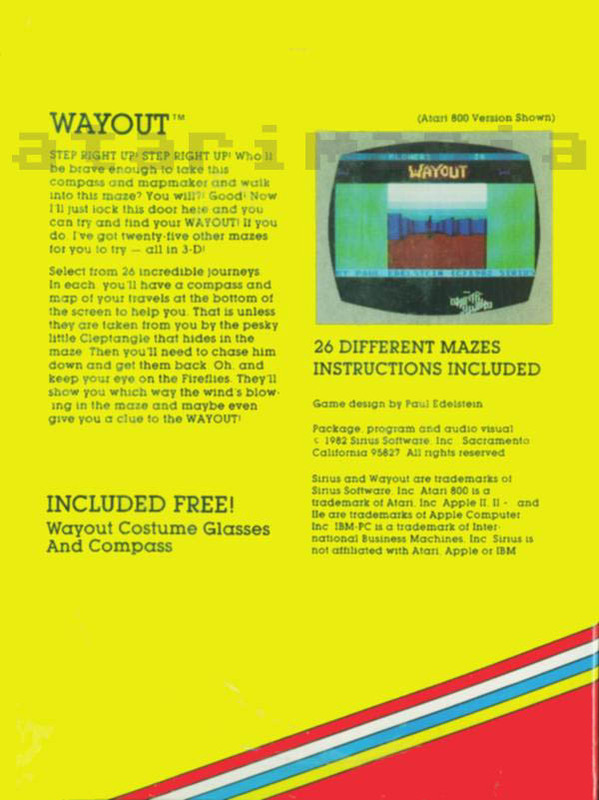 While other such games give you a view from the top, Wayout uses superb 3-D graphics to put you right in the middle. Everything appears as it would if you were actually trying to walk through the maze itself.